Let Cleaners in Ealing take great care of your domestic or commercial property in West London. Whether you’re welcoming a big change in your life, such as moving house or you want consistency in home maintenance and peace of mind, Cleaners in Ealing can help you with quality cleaning services, flexible service hours, and professional equipment to suit your household needs. Browse through a selection of cleaning options we’ve designed based on our customers’ feedback and manage your property maintenance with zero hassle and stress. Call us at 020 7846 0213 and simply tell us what you need and when you want it done. 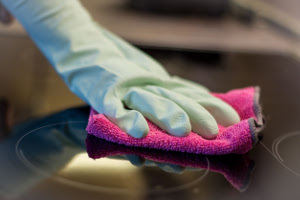 We are available on short notice in the W5 area for one-off deep cleaning, oven and carpet cleaning and specialised options such as gutter cleaning and rubbish removal, as well. Our friendly operators can also help you set up your maid maintenance plan for regular visits, tailored to your needs and requirements or book your window cleaning for this same day! So, don’t let the house chores occupy your free time, enjoy your hobbies and leisure activities while we take care of the tough job. Home Cleaning: choose regular domestic cleaning on a weekly, fortnightly, or monthly basis to keep your house spotless year round! And for a thorough spring cleaning, we offer a one-off deep cleaning that leaves no detail overlooked. We are also known for our carpet cleaning in the W5 area which uses different methods, such as dry cleaning and hot-water extraction to effectively treat and freshen up all kinds of carpets and upholstery. Our eco-friendly oven cleaning has been keeping cookers and other kitchen appliances in the W5 area functioning and looking brand new for years. Care for the outside of your property: our window cleaning uses innovative method for cleaning all types of windows on the outside without the need for scaffolding or other supporting structures. Our gutter cleaning combined the help of modern technology, is the perfect way to get comprehensive seasonal care for your home premises. Specialised services: we added rubbish removal to our list of services and can now assist you with regular curbside collection or after-builders and furniture disposal. And for tenants, landlords, and estate agents we have an end of tenancy cleaning that follows agency approved checklists and guarantees the most comprehensive cleaning to get tenants their deposits back and boost the lease value of a property. a range of booking appointments 7 days a week: early morning and evening service hours even on weekends and Bank Holidays. Professional equipment from the leading brands on the market and COSHH compliant detergents, which are safe for all members of the family. Quality control checks, full insurance cover, and guaranteed work. Background-checked certified professionals with years of experience. Special offers and discounts on combined bookings. Customer care operators available 24/7 over the phone and online. We offer you convenient ways to set up appointments, make bookings alterations, and get all the information you need. Reach us over the phone at 020 7846 0213 or find us online – we have a contact form that lets you arrange a call back at a time of your convenience, and a live chat which will let you get in touch with our representatives even this moment. So, contact us today and see how Cleaners in Ealing can help you out.